ShortScale :: View topic - Squire Cyclone, conversion scale? Posted: Thu Jan 26, 2017 7:22 pm Post subject: Squire Cyclone, conversion scale? I can't remember for sure, but the cyclones where a conversion scale werent they? i mean, they would fit on the body intended but could also be thrown onto a full scale 25.5 right? intonation could still be attained. I was digging through and found a cyclone neck that i think i got off of cooter years and years ago. it was basically my paint stick for a while, but now i want to bring it back and throw it on an 80's squire strat body that i think i got off of DGNR8. I think they are, but i also think im wrong. I was drawing up some plans for the Cyclone the other day and noticed that the bridge to neck pocket distance was the same on both it and the Mustang. I could be wrong, but I think the conversion scale is up from 24, not down from 25.5.
i couldn't remember which way it went. Think logically: if you want to convert from 25.5" 21 frets, you have to go to 20 frets or less, not more. On the other hand, most of the scale length difference is on the neck, so the remaining difference in comparison to a Mustang may be small enough that it won't matter at the bridge end when going between a Cyclone and Mustang. The gauge may also make a difference in such a case. edit: I did check out the difference between Cyclone and Mustang, it does seem pretty large, almost 5 mm. Also "conversion scale" to strat comes out even worse: more than 6 mm. Maybe the long scale Jagstang necks were non-standard. i mocked up the neck against an old strat body, altho it does match up to a 25.5 its a 22 fret and the intonation would be way off. 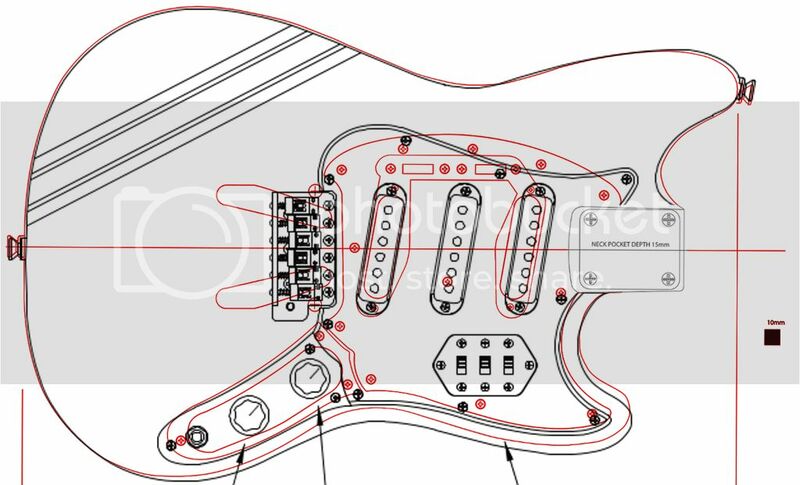 I could have sworn that fender had a conversion scale, or squire did at some point. just couldn't remember if it was up or down. The old 1960s Mustang/Musicmaster necks (22.5 and 24") are a perfect match. The difference between the 1990s Chinese and Mexican Duo-sonics (22.7". 20 fret) and the 24" Chinese Jagmasters is negligible, so they are pretty much interchangeable. The Jagmasters could possibly get close to strat scale, and it probably doesn't make much difference if you don't play much above the 8th fret or so. but there were 3 different scales for the jagmaster werent there? i thought the first run was shortscale, the second run was full scale and the most recent was like 24.75 or so. I could be wrong. its been so freaking long since i have really studied all of this stuff.